← "DC Comics: The New 52": Is This Trip Really Necessary? Graphic Novel Mini-Reviews: "Cowboys" and "99 Days"
Script by Gary Philips. Art by Brian Hurtt. Script by Matteo Casali. Art by Kristian Donaldson. Both these books, filled with fantastic art that matches and accelerates the stories, attempt to elevate the crime comic genre, which makes it even sadder that they don’t really succeed. 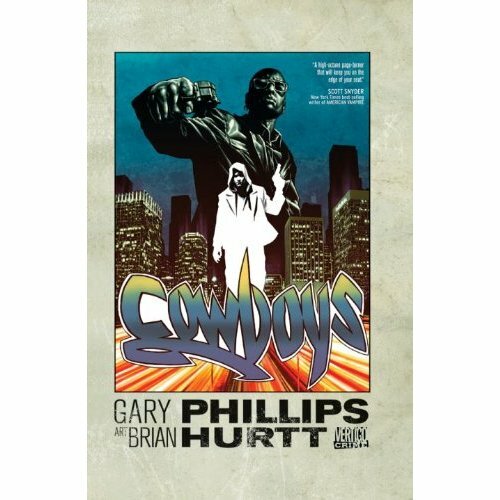 “Cowboys” attempts to play with stereotypes; the white, straight-laced looking fed goes undercover in the world of gangsta hip hop/soul working for a Suge Knight wannabe, while the dreadlocked tough cop goes deep as a corporate exec, investigating his white boss. 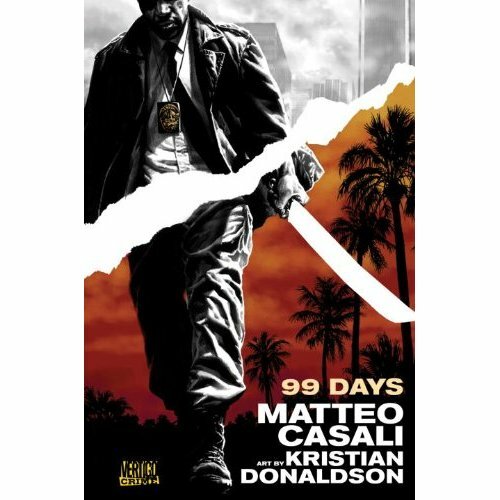 The twists are fine, and the pacing is fast, but the story, which, like “99 Days,” tries to steal from the lines between the headlines, is quite cliche; crime noir from creators who fondly remember “Trading Places.” Meanwhile, “Days” is a not-as-interesting update of “The Tell Tale Heart.” It alternates between individual suffering and crime drama, with an ending that needed another draft. Vertigo did much better with telling this kind of story with its dreary-but-always-compelling, “Bourne Identity”-ish update of the old DC war comic, “Unknown Soldier.” (I bought every issue and every trade.) Buy those volumes—all of them—instead. This entry was posted in american history, books, cartoon, comics, news, world history. Bookmark the permalink.